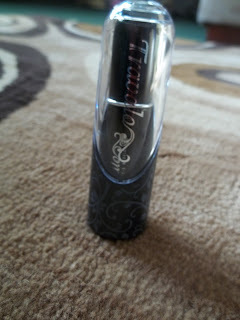 One of my favorite beauty or girlie products is perfume. I use it every single day, sometimes more than once a day. It annoys me that my normal perfume I use comes in a medium to larger size bottle, and isn't easy to take with me on long road trips or when Frank and I get a rare night alone out for dinner or drinks. I always like to make sure I can keep refreshing myself, especially when out in public of out at the club dancing, where it doesn't take long for me to get all gross and sweaty. I found a solution to my problems with Travalo, the refilling travel perfume bottle. It's tiny, fits in my purse, my wallet, even in my jeans pocket if I don't take my purse with me! 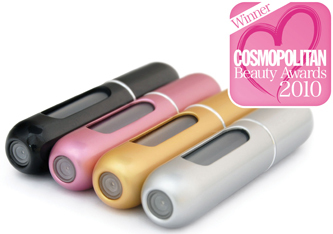 Travalo perfume refill systems are easy to use. 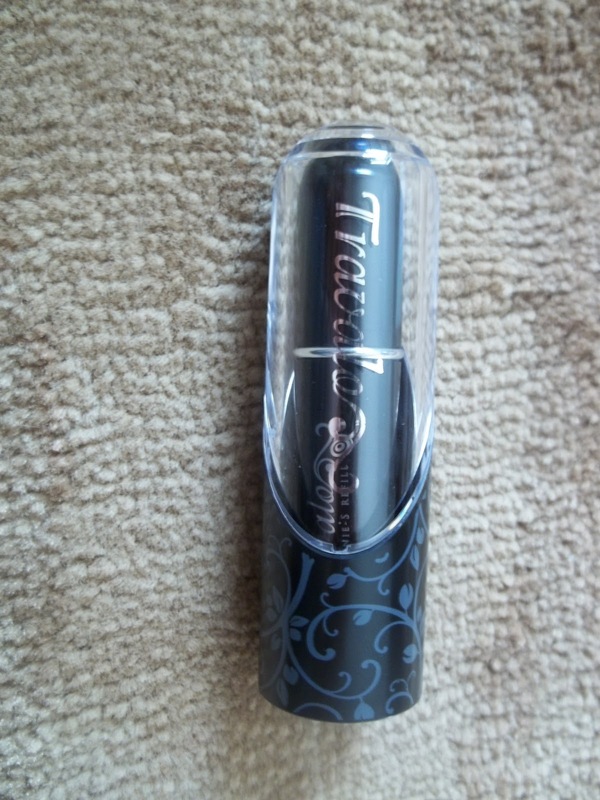 To fill them up, you simply take the top off of your normal perfume bottle, and attach the Travalo refill bottle to it. You then pump the perfume bottle like you would if the original top was still on, and it pumps the perfume into the Travalo bottle until it is full. You know it's full by looking at the refill window on the side of the bottle. This also comes in handy so you know to refill it when you are running low. Once the Travalo bottle is full, it's good for 50 sprays! These refill bottles also come in a variety of colors, so you can choose one of your favorites or to fit your personality, match your purse, match your wardrobe, whatever! There are many other benefits to this refill system. It's small and fits almost anywhere, lightweight (weighing in at only 0.4 oz.! ), and 98% of the components in this bottle are recyclable, which is definitely an added bonus for the environment. 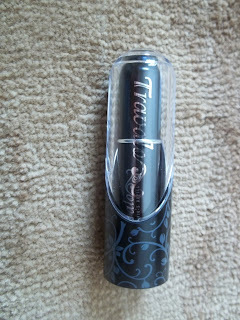 I have gotten a lot of use out of my Travalo, and it's definitely one of those must have beauty products for all of us ladies!